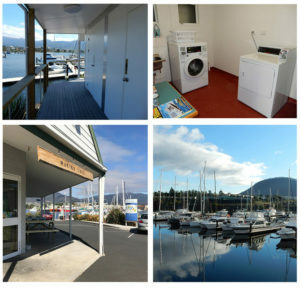 Prince of Wales Bay is well known in Hobart as the Tasmanian Maritime Precinct where the marina is located as a ‘one stop shop’ for all your maintenance requirements. CleanLIFT Marine is easily accessed from the Prince of Wales Bay Marina and is Tasmania’s only fully compliant boat maintenance yard. Maintenance and repair services include CleanLIFT’s haul-out and hand-stand facilities, repair, painting and refit options, and full servicing of vessel, equipment and main machinery. These include CleanLIFT’s haul-out and hard-stand facilities, repair, painting and refit options, and full servicing of vessels, equipment and main machinery. • Fully secured marina and car park with monitored CCTV and card entry. Security officers patrol our facilities regularly with 24-hour surveillance cameras to protect the marina. 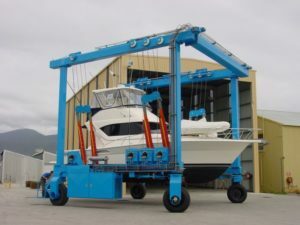 • Boat Maintenance Services – CleanLIFT Marine Boat Yard is located 200m away just on the other side of the bay and has a 70T travelift for lifting boats out of the water. CleanLIFT is Tasmania’s only fully compliant boat maintenance yard.